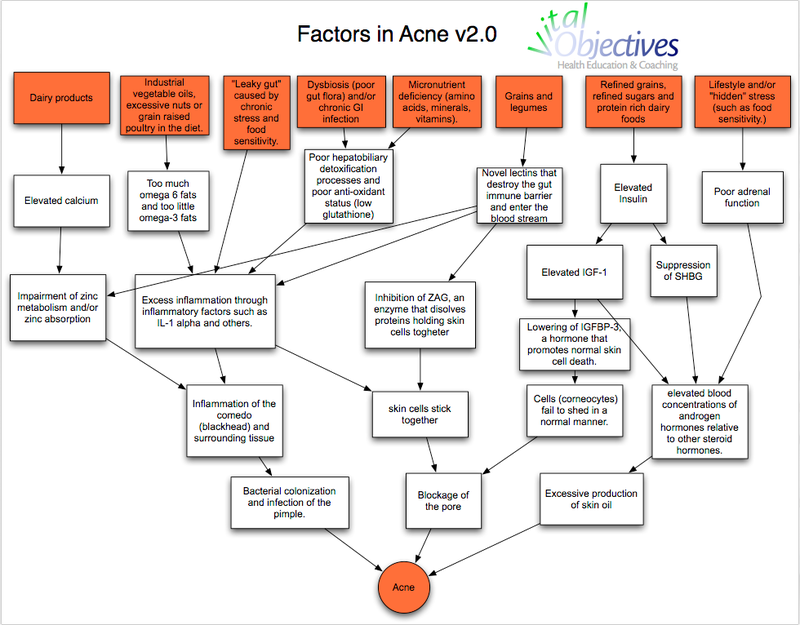 The skin is a window into overall body function, and acne is a sign that something isn't working as well as it should. 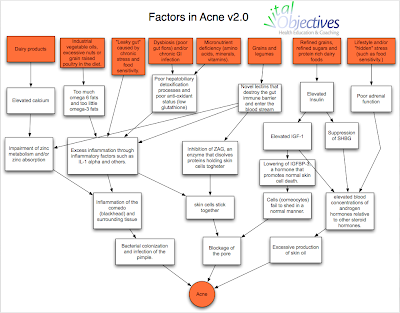 I have updated my acne troubleshooting chart, which is based on more or less validated scientific theories about the mechanisms behind acne, as well as clinical observations of what types of issues may have to be resolved to say goodbye to acne forever. Notably, I have included the important liver/detox/anti-oxidant axis, which I think is a missing link in dietary theories about acne. It is not uncommon to see improvements in acne with good liver support supplements, particularly after grains, legumes, and dairy have been reduced in the diet. Please click to make the diagram larger.